Written on March 22, 2016 . Posted in Announcements + Updates, Liberal Arts. Bolaji Campbell (Professor, History of Art + Visual Culture) has contributed a chapter entitled Of Color, Character, Attributes, and Values of Orunmila to a new edited volume Ifá Divination, Knowledge, Power, and Performance, edited by Jacob K. Olupona and Rowland O. Abiodun, and published by Indiana University Press. The volume brings readers into the diverse world of Ifá—its discourse, ways of thinking, and artistic expression as manifested throughout the Afro-Atlantic. 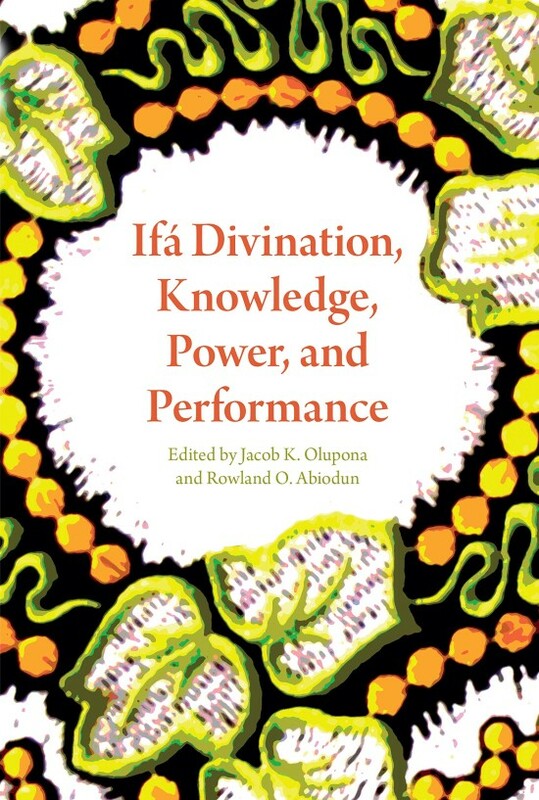 Firmly rooting Ifá within African religious traditions, the essays consider Ifá and Ifá divination from the perspectives of philosophy, performance studies, and cultural studies. The editors and authors examine the sacred context, verbal art, and the interpretation of Ifá texts and philosophy.